Dental health is more than just cleaning your mouth. Your smile is uniquely yours and a statement of health to the world. Ft. Worth dentist Dr. Peter Ku recognizes the need to maintain it, and considers this as part of his overall approach to dentistry. His expertise combines with genuine compassion for a truly unique dental experience for patients that want the ultimate oral health and sparkling smile. No matter the dental needs, be they twice yearly preventative exams and cleanings, cosmetic dentistry to improve your smile, or restorative treatments to repair traumatized teeth, Dr. Ku’s knowledge and gentle methods can help you through it. Our bodies, oral cavity included, tell us when something isn’t right. Are you suffering from bad breathe, bleeding gums, or pain? These hints may be warning you of existing problems such as periodontal disease, cavities, or clenching and grinding. Studies have linked these issues to other severe health concerns such as heart disease, stroke, osteoporosis, and several types of cancer. Whether you have insurance or not, investing in routine preventative oral care with Ft. Worth dentist Dr. Ku will dramatically lessen the threat of many common dental and bodily health concerns. Likewise, specific restorative treatments can target a developing issue, correct it, and avert further damage to your mouth. Your self-image and confidence are just as important to your livelihood as your health. That’s why we utilize cutting-edge cosmetic dentistry to create your best smile. Such techniques as teeth whitening, customized porcelain veneers, and convenient Invisalign teeth aligners offer you a successful and youthful appearance while boosting your peace of mind and self-assurance. 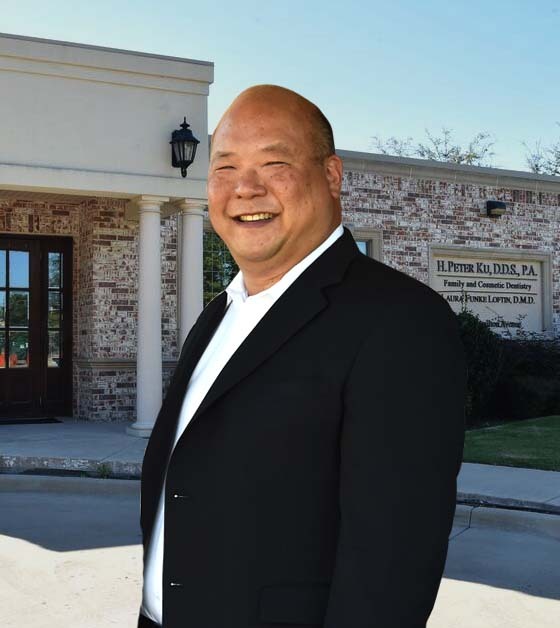 In addition to his genuine concern and interest in each and every patient’s lives, Dr. Ku also actively trains and stays aware of the latest expansions in dentistry, developing his current skills with new technologies as they are approved. In doing so, he can assure his patients are provided with the highest quality and most advanced dentistry techniques. Dr. Ku’s high regard for each patient’s concerns and ideals, as well as X years in the dental care industry, help him provide practical and keen solutions for all their dental needs. Call today to reserve your consultation with Fort Worth dentist Dr. Peter Ku. We are conveniently located off of University Drive north of 7th street, and four blocks from the Camp Bowie Road-7th Street junction. We are situated just behind Nizza’s Pizza in our own building with ample parking. We provide personalized dental care for people from all over the Dallas-Fort Worth area and beyond.